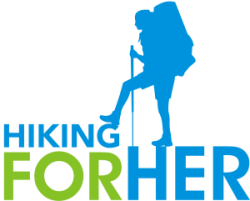 Famous Female Hikers: Can You Think Of Any? Famous female hikers: I've been on a quest to find some. And was surprised when my quest uncovered so few. However, I have discovered some women devoted to the outdoors in various ways to share with you here. Let them serve as inspiration for your hiking adventures, each in her own unique way. The first place I turned to on my quest to discover famous female hikers was the National Park Service. I didn't find any famous hikers, but I was treated to a mini-lesson in feminism - check it out for yourself here. I don't know whether you'll chuckle or cringe when you see the "fast food workers" uniforms the pioneering female rangers were forced to endure. Hiking in those short skirts? Looking at those uniforms sent me off on a separate quest, to find amusing outdoor outfits from the good old days. 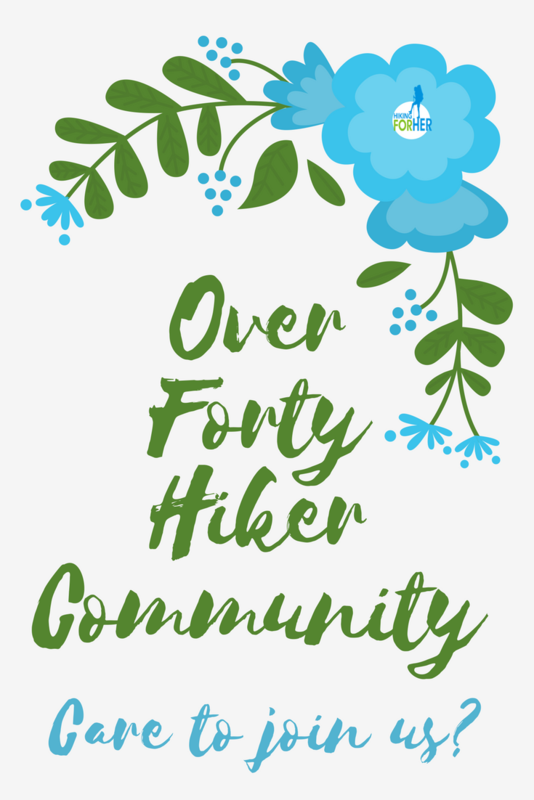 Take a peek at what I found on my Pinterest page entitled Hiking Women - Then And Now. Next, I stumbled onto an article (full disclosure: it arrived in my mailbox and I stumbled on the way back to the house) in the Washington Trails Association (WTA) monthly magazine entitled "The First Ladies". That sounded hopeful, albeit confined to Washington State, USA. The article began with Fay Fuller, who was 22 years old when she summitted Mount Rainier on August 10, 1890.
and a very determined expression. ... which brings us up to the 1950's. But if you notice, no "hikers" show up on this list. Even Google could find no famous female hikers, only mountain climbers. Exactly what would be the criteria to make someone a famous female hiker? I suppose thru hikers who make it from one end to the other of famous trails would qualify: Pacific Crest, Appalachian, Continental Divide and other lesser known long distance hiking trails. Read my review of one woman's story here. Emma "Grandma" Gatewood definitely qualifies because she completed the AT journey - twice!! 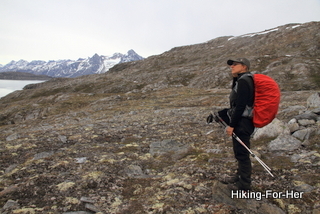 The first time was at age 67, which shows that you're never too old to take up the wonderful sport of hiking. Read my book review of her story here. What if a celebrity suddenly took up the sport of hiking? An entirely different kind of notoriety! Her reflected fame would put her solidly into the category of famous hiker...but alas, probably not because of the hiking. That brings to mind Reese Witherspoon in the movie about hiking the PCT, but I don't think Reese is burning up any trails on her own time. Luck was with me when I stumbled upon the story of Lillian Alling. Read the brief version here. But in truth, she wasn't exactly "hiking" - she had a mission that involved lots of walking. I got creative (at least in my own tiny mind) and Googled "famous male hikers". So I removed the gender from my search, and simply looked for famous hikers. and their fame revolved around thru-hiking records: fastest, for example. Pardon my naivete, but why would you want to blast through all of the gorgeous terrain, simply to get the title of "fastest hiker"? To me, that's an oxymoron. And there are a few famously fast female thruhikers, too, but they are in an elite category which does not really include most women hikers. That's why I don't mention them here. Role models for most of us? An article summarizing ten women who changed the way we see nature called out some names that I didn't recognize. But I'm willing to be wrong. Do you know of a famous female hiker in history that I've missed? Send me her name, and I'll dig up the details and post them here, for all of us fabulous but humble female hikers to enjoy! And don't forget, you're a female role model for your children, grand children, and trail buddies. That counts for a lot more than fame. I'd like to leave you with this hilarious essay written by Emily Inez Denny in 1899 regarding female clothing. Do you agree that she had all of the attributes of a female hiker? Well said, my dear, well said!